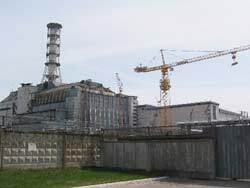 The Chernobyl unit 4 is now enclosed in a large concrete shelter which was erected quickly to allow continuing operation of the other reactors at the plant. However, the structure is neither strong nor durable and there are plans for its reconstruction. The international Shelter Implementation Plan involved raising US$715 million for remedial work including removal of the fuel-containing materials. Some work on the roof has already been carried out. In March 2001 a US$36 million contract was signed for construction of a radioactive waste management facility to treat spent fuel and other operational wastes, as well as material from decommissioning units 1-3. These will be the first RBMK units decommissioned anywhere. In the early 1990s some US$400 million was spent on improvements to the remaining reactors at Chernobyl, considerably enhancing their safety. Energy shortages necessitated the continued operation of one of them (unit 3) until December 2000. (Unit 2 was shut down after a turbine hall fire in 1991, and unit 1 at the end of 1997.) Almost 6,000 people worked at the plant every day, and their radiation dose has been within internationally accepted limits. A small team of scientists works within the wrecked reactor building itself, inside the shelter. 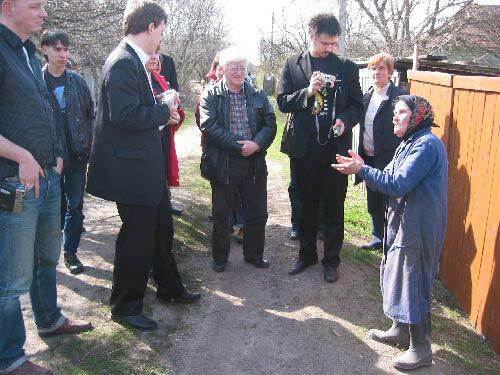 Workers and their families now live in a new town, Slavutich, 30 km from the plant. This was built following the evacuation of Pripyat, which was just 3 km away. Ukraine depends upon, and is deeply in debt to, Russia for energy supplies, particularly oil and gas, but also nuclear fuel. Although this dependence is gradually being reduced continued operation of nuclear power stations, which supply half of total electricity, is now even more important than in 1986. Ukraine is also planning to develop its own nuclear fuel cycle facilities to further increase its independence. When it was announced in 1995 that the two operating reactors at Chernobyl would be closed by 2000, a memorandum of understanding was signed by Ukraine and G7 nations to progress this, but its implementation was conspicuously delayed. 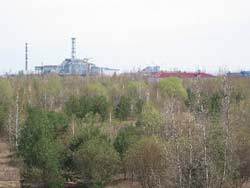 Alternative generating capacity was needed, either gas-fired, which has ongoing fuel cost and supply implications, or nuclear, by completing Khmelnitski unit 2 and Rovno unit 4 in Ukraine. Construction of these was halted in 1989 but then resumed, and both reactors came on line late in 2004, financed by Ukraine rather than international grants as expected on the basis of Chernobyl's closure. This article is licensed under the GNU Free Documentation License. It uses material from the Wikipedia article "Chernobyl"